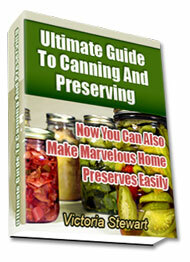 Pressure canning is a method of using a pressurized canner vessel with a temperature of 240 degree Fahrenheit. Foods with low acid such as vegetables, like carrots, squash, green beans, corn and okra can be preserved through this method. Meat and poultry as well can undergo in this type of method. All low acid foods contain harmful bacteria’s that causes botulism food poisoning. So it is said to be safer to use this method in these types of foods because not all bacteria can be killed in boiling only thus some foods need high temperature to kill the present bacteria in it. In this method, short cut processing is a no-no for it is unsafe. This method can be expensive for it requires a pressure canner in stainless or aluminium. 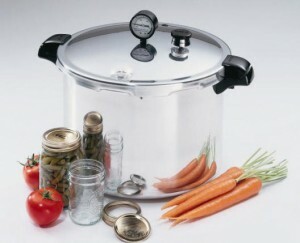 Using pressure canning, the pressure canner should be always checked and examined. Always use a tested and reliable recipe manual for you to have a good preserve. Before beginning, assemble all ingredients needed, utensils and equipment. Select a durable jar with lids and bands. Provide the right amount of headspace. Always make sure no air bubbles, if ever remove it with a spatula. Sealing the jar properly makes it lasts longer. Storing in cool and dry place is also a must. In a couple of days, check if there are some changes in your preserves for assurance that the food is safe and in good condition. Following these guidelines can result to a successful preserve which you have made on your own. All guidelines are important. The canner must be always in good condition, for it is not safe to operate your canner if some of its parts are lacking or already destroyed like its gauges and gasket. Never also force to open your pressure canner if it is not yet cool for may cause you severe burn and injury. You can place the vessel under running water for it cools the vessel a little bit faster, if you are such in a hurry. You can easily release the pressure at this way of cooling. Then it is the right time to open the vessel. Short cuts are not allowed in pressure canning. Remember to use and follow the right steps of processing your food to make it successful. There are no rules hard for you to follow. It’s for your own good and even to your family. It will eliminate waste of time, money and especially in you efforts in doing this. No one can stop you from having a delicious and yummy preserve using pressure canning, because you know the facts in doing this method of preserving.